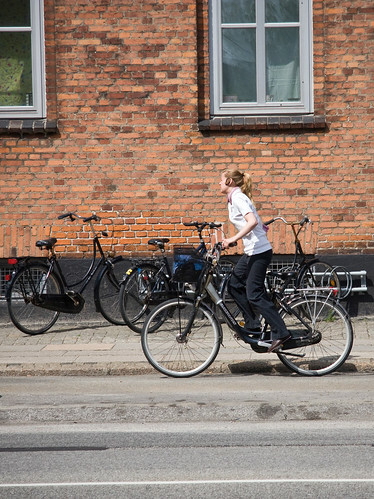 A lovely acceleration shot from the streets of Copenhagen. In our Safe Bicycles & Lifestyle post we highlight how upright bicycles can be safer. Even whilst standing up and cycling quickly, the body still looks like she is running, as opposed to leaning over the handlebars. Elegant motion.